Escape to Cancun for an all-inclusive vacation experience that won't break the bank with a timeshare resale or rental at Mia Reef Isla Mujeres. SellMyTimeshareNow.com offers a selection of these units priced up to 70% off retail. 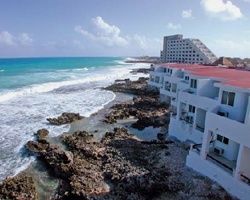 What’s My Mia Reef Isla Mujeres Timeshare Worth? 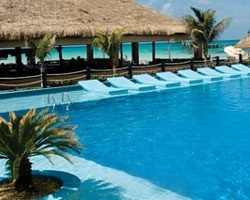 Find your paradise at Mia Reef Isla Mujeres with their secluded Cancun destination. This oceanfront retreat offers fabulous all-inclusive style amenities for a luxurious vacation experience. Mia Reef Isla Mujeres is a trendy resort property that boasts stylish accommodations and fabulous features like a private beach, oceanfront pool with a swim-up bar, full-service spa, fitness center, and on-site bars and restaurants (with meals and drinks included in your vacation package). There is also a private dock that you can set sail off of for a snorkeling or fishing excursion, or just a relaxing and romantic sunset cruise. Choose from a variety of deluxe villas and suites, all offering incredible ocean views from a private balcony. You can find a chic, romantic suite that comfortably sleeps two for a romantic getaway, or choose a suite that can accommodate six for a fun family vacation. Amenities include a minibar, jacuzzi tubs, full bathrooms, furnished balconies, and trendy, luxurious tropical decor to complete the experience. Start planning your all-inclusive retreat now by completing the form on the right or calling a representative at 1-877-815-4227 for more information. 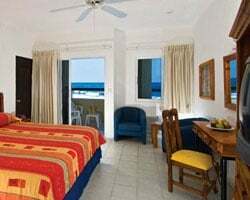 We'll help you to find your ideal Avalon Reef Club Isla Mujeres timeshare resale or rental for your needs and budget. Think there is no way you can afford an all-inclusive Mexico retreat every single year? Think again! When you shop the resale market for Mia Reef Isla Mujeres timeshares, you'll uncover significant savings up to 70% off retail! This is because here, owners are pricing their personal timeshares based on the current market value. They don't include the resort developer add on's like sales commissions, taxes, or hidden fees. This way, you can indulge in timeshare ownership and vacation at a luxury resort for a fraction of the retail price. This will save you thousands of dollars for the very same ownership. Our inventory of Mia Reef Isla Mujeres resales features Right To Use floating weeks with annual and biennial usage, many within the Gold and Red seasons of ownership. With a Right To Use timeshare week, you are able to enjoy many years of affordable ownership and vacations without the lifetime commitment. And with floating weeks, you can choose a different week each year within your ownership season to travel. This provides you with more flexibility to determine when you travel, allowing you to better schedule your getaways. 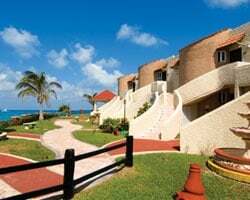 Mia Reef Isla Mujeres timeshare owners are able to enjoy more travel options through the resort's affiliation with Interval International. As one of the leading external exchange companies in the industry, Interval International boasts an impressive selection of affiliated vacation ownership properties across thousands of destinations worldwide. Mia Reef Isla Mujeres owners can purchase an annual Interval International membership to gain access to their portfolio and travel to any of their resort affiliates. Once you are a member you can simply deposit your Mia Reef Isla Mujeres timeshare week and make a reservation at any of the available properties. External exchange is an easy and affordable way to make the most out of your timeshare ownership while experiencing new and exciting destinations each and every year. This oceanfront property boasts a wealth of luxurious amenities in their all-inclusive packages for the whole family to enjoy. Guests will enjoy one of the most unique pools in all of Mexico—complete with in-water chaise lounges, a full-service spa, a fitness center, and a daily schedule of activities which includes pool and beach volleyball, bicycle tours, poolside contests and much more. There are also two restaurants and a bar for your dining pleasure, serving delicious seafood, Mexican and Caribbean specialities, along with familiar favorites, buffet breakfasts, and tasty cocktails. If you feel the need to explore the surrounding area, you can take the 20 minute walk to downtown Cancun where you'll discover shops, restaurants, bars, and more entertainment. Snorkeling, scuba diving, sunset cruises, boating, fishing and more are top activities at the resort and beyond. You can also visit Cancun's underwater Museum or stay on land to check out The Park of Sculptures. Already Own at Mia Reef Isla Mujeres?